I don’t know what it was about “sixty-four” that made McCartney sing about it. 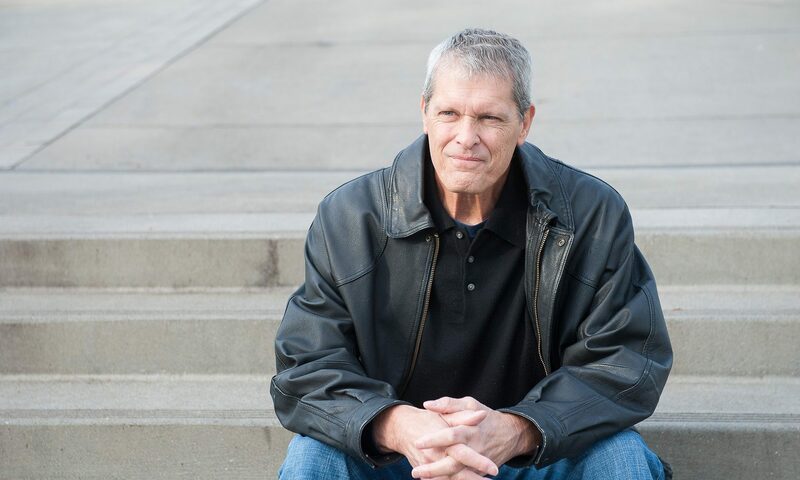 Maybe he had a premonition that sixty-four would be a bad year, but probably it was just because it rhymed with “door.” Nevertheless, it got my attention and brought up some grief in me about being divorced and sick with cancer. I felt a tiny pang of sorrow (that periodically recurs) about the loss of the dream of growing old with my wife – children and grandchildren around us as one big happy family. Growing old at all is sort of iffy at this point, let alone it happening with the wife of my youth. Don’t get me wrong, I’m stoked about seeing Jesus, but if I’m being honest, leaving here sooner than later has its nostalgic downside as well. A few years ago the prospect of bouncing back from my losses seemed remote at best. But over time my soul began to heal, and hope gradually seeped back into my heart. And while I continue to grieve those defeats, in the last couple of years my grief has become less and less of a predominant sentiment for me. As I sat in my car drying a tear or two I thanked God that it was indeed only one or two, and not the thousands I would have shed a few years ago. Jesus, the Man of Sorrows and acquainted with grief, helps us let go even of things most precious to us when we have to. I realized that an adjustment had been made. The me that I was, and assumed I would always and forever be, began to morph into a different me – an unexpected me. Relentless grace empowering me to painstakingly make the necessary adjustments, the new way of being me – that is, the current me that I presently am, is an inexplicably happy me! It didn’t happen overnight, but I recognized that all along the Father had been helping me make the alterations into these new circumstances of mine to be able to find in them a whole world of kingdom possibilities. You can’t really plan for the unexpected, since by definition, you don’t expect it. We make our plans, try to live as responsibly as we can, and trust God to do what he does. Nevertheless, stuff happens in our fallen world inside and around our flawed selves that we couldn’t have predicted. There’s the matter of the free-will experiment in which we’re engaged (where we’re permitted to hurt ourselves and one another if we choose to). And then there’s the factor of the clear and present danger of the dark spiritual world, relentless in its hate for us and the God who loves us. We make plans, some of which are thwarted, others were foolish and were thus doomed from the start. 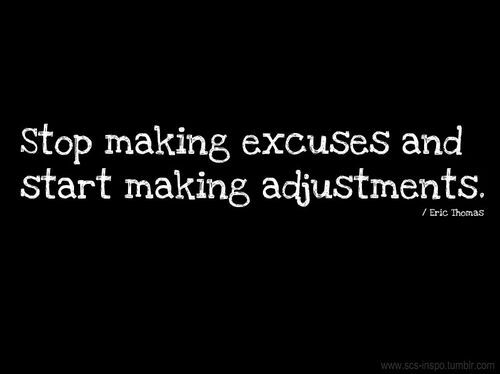 Regardless of the cause, we have to learn to make adjustments on the fly. Life isn’t nearly as predictable as we would wish, so detours are a more regular occurrence than we planned when we embarked on the trip. So we have to learn to expect the unexpected, bring our fears about them to God and adapt to what happens. They say in baseball, “You gotta hit what’s pitched.” That is, if the guy on the mound is not giving you anything to pull over the left field wall, you shorten your swing and take the outside pitch to right (field). Pitchers have to make adjustments too. If on a given day he doesn’t have his curve ball, a good pitcher will maximize the use of the other pitches in his repertoire. When a big-league pitcher ages and can’t throw 95 miles-an-hour anymore, he has to learn to get people out in other ways. And if he can’t make those adjustments he’ll have to find something else to do with his time besides playing baseball for a living. On a very tiny level, making adjustments on the fly is something we all do all the time. You’re driving to work, but your regular route is jammed with traffic, so you take a quick exit and find your way on surface streets to get to work on time. Your usual sales pitch isn’t working with a certain prospective client, so in order to convince them that they do need what you’re selling, you change your pitch (we’re talking “sales pitch” now) – you adapt on the fly. All morning you could taste the burrito you were going to savor at lunchtime at your favorite Taqueria near your office, and when you get there they’re closed for renovations! For about two minutes you stand in front of the restaurant wondering if life is still worth living, or maybe you should break in there and make your own burrito with extra cheese. Eventually you make the palate adjustment to Chinese.